Using the Petro-Sonde equipment you can accurately determine the lithology and fluids below. 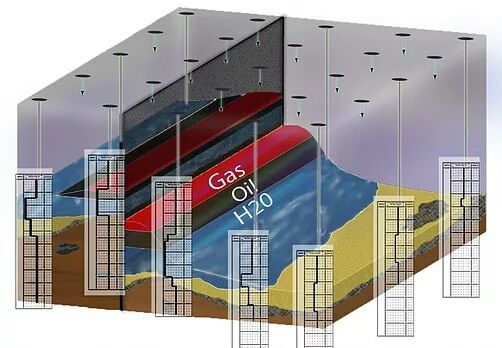 The Geophysics International Electrotelluric Survey Method is an environmentally passive geophysical technology used to evaluate the presence and relative quantity of fluid bearing zones in the subsurface. Information is derived by measuring the effects that telluric currents have on the Earth’s electric field at the surface. Telluric currents (Earth currents) are naturally occurring electrical currents which flow within the Earth. The flow of these electrical currents along a subsurface bedding plane induces an electromagnetic field at the bedding plane surface. (This occurs in much the same way that an electromagnetic field is induced around a man-made power line by the flow of an electrical current through the line.) The induced electromagnetic field at the bedding plane in turn radiates an electromagnetic wave back to the Earth’s surface where it is detected by a passive telluric receiver. The electromagnetic wave generated at the bedding plane contains specific information (e.g. thickness and relative porosity) about the adjacent rock layers from which it originated. 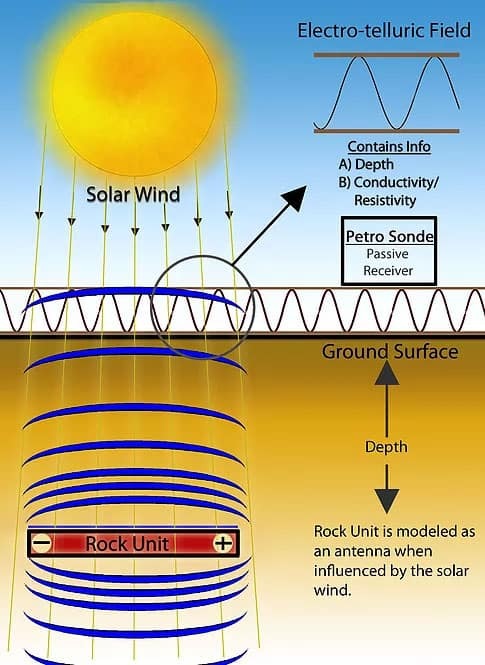 The Petro-Sonde (Fig. 1) is a passive device, a receiving antenna, that is used for scanning for frequencies as a function of depth. In other words, for each depth there is a corresponding frequency, according to a known mathematical function characteristic of the near-field that the Petro-Sonde receiver uses as the depth derived “signal” containing the information. Relative “tone” changes in this depth “signal” reflect changes in resistivity/conductivity in the lithology. This phenomenon is the “key” that allows the delimiting of rock formation contacts, changes in lithology or changes caused by substances eliciting changes in the electrical conductivity within a rock unit (e.g. water, oil, etc. ), thickness of units and inference in the type of lithology. The reason for the extreme depth accuracy of the Petro-Sonde technology is founded on the fact that the waves analyzed correspond to the near-field waves which, for all intentional purposes, have no distortion whatsoever: unlike the scattering waves in the far-field. 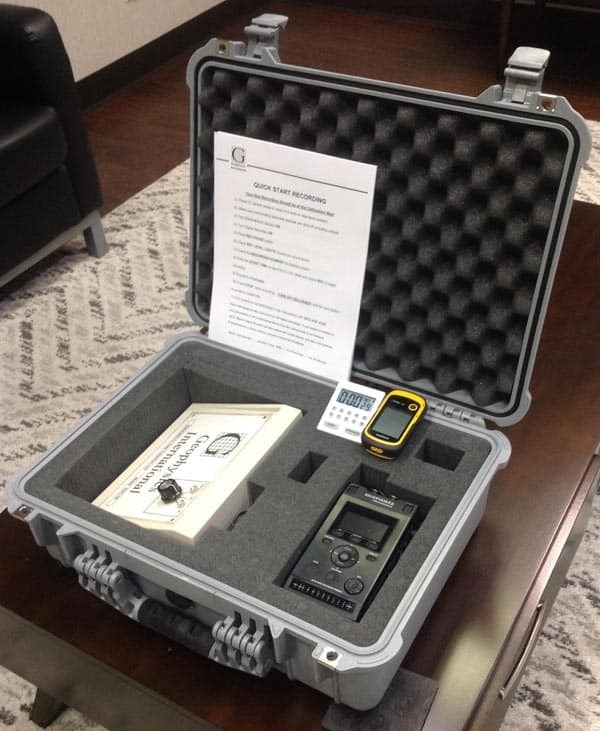 Figure 1: The Petro-Sonde and recording device are shipped in a hardcase for easy use in the field. Significant changes in the recorded signal are indicative of lithology changes, like rock contacts or changes within the lithology itself, allowing an accurate delimitation of lithology thickness. Topographic surface changes are of no concern when it comes to the surveying because the measured signals within the electro-telluric field automatically are a function of depth to the emanating rock unit directly below the Petro-Sonde field station. This makes it easy for subsurface paleo-topography or tomography of rock units but recording the elevation as well as coordinate location of each field station is critical for the correct cross section interpretation and 3-D modeling (Fig. 2). In addition, a relative 4-level horizontal scale which has its origin in the relative change in the “tone” of the analyzed signal (depicted by the vertical lines in the Petro-Log, Fig. 3) corresponds to changes in electrical conductivity between rock units. This information makes it possible to infer the type of lithology. 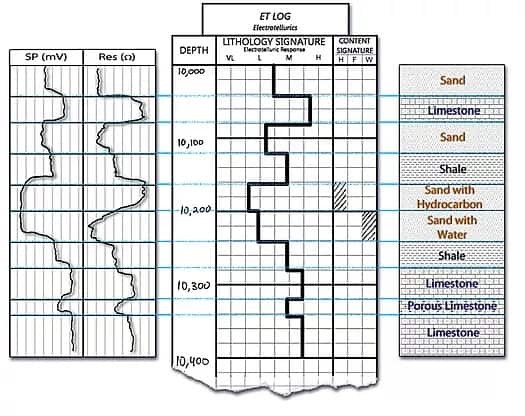 However, with a calibrating well or drill-hole with existing information about the lithology, the interpretation of the Petro-Log becomes more accurate as to the lateral continuity and horizontal and vertical transitions in solids as well as fluid and even gas (Fig. 4). Without these calibrating references, still valuable inferences can be made by extrapolating the relative 4-level conductivity scale (low / medium low / medium high and high) reflecting a likely type of lithology (e.g. : sandstone vs. limestone). 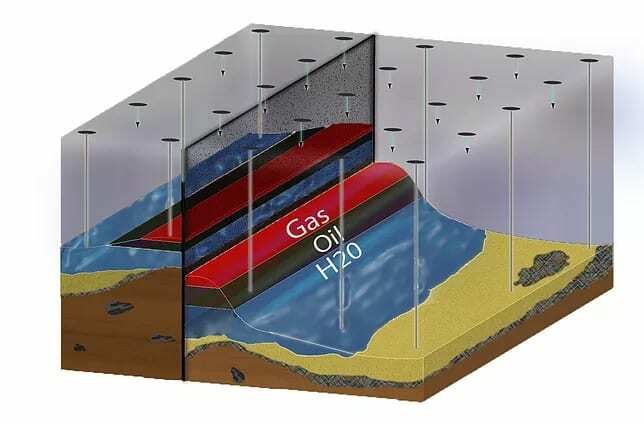 Rock units containing oil, gas and water impart specific signatures in the signal. In cases where oil and gas signatures are not totally clear in the signal, a more intense survey, placing field reading stations closer is recommended because the profile of the Petro-Logs itself may throw some light as to conductivity changes within a rock unit. Faults are also easily detected with the Petro-Sonde survey. Figure 3: Comparison between an SP/Resistivity Log and our Electrotelluric (ET) Log. Figure 4: 3D image with point specific information obtained from our analysis. The analysis instrument looks similar to the field Petro-Sonde (Fig. 5). The depth-dial, is used to scan from 0 to 40,000 ft below the surface. For each recording, the depth-dial is tuned to scan a depth range of interest. The information obtained corresponds to a depth column directly below the surface station where the reading takes place. The frequencies from the near-field corresponding to specific depths, all confined within the surface electro-telluric field, is recorded for signal analysis and interpretation back at the office by a trained Geophysics International geologist. 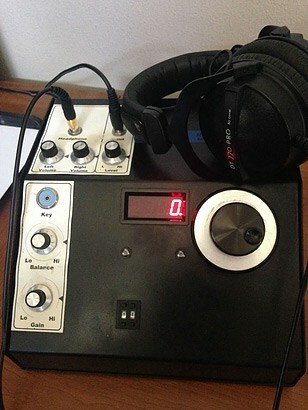 Figure 5: The analysis instrument consists of a depth-dial, digital display, and volume control nobs.